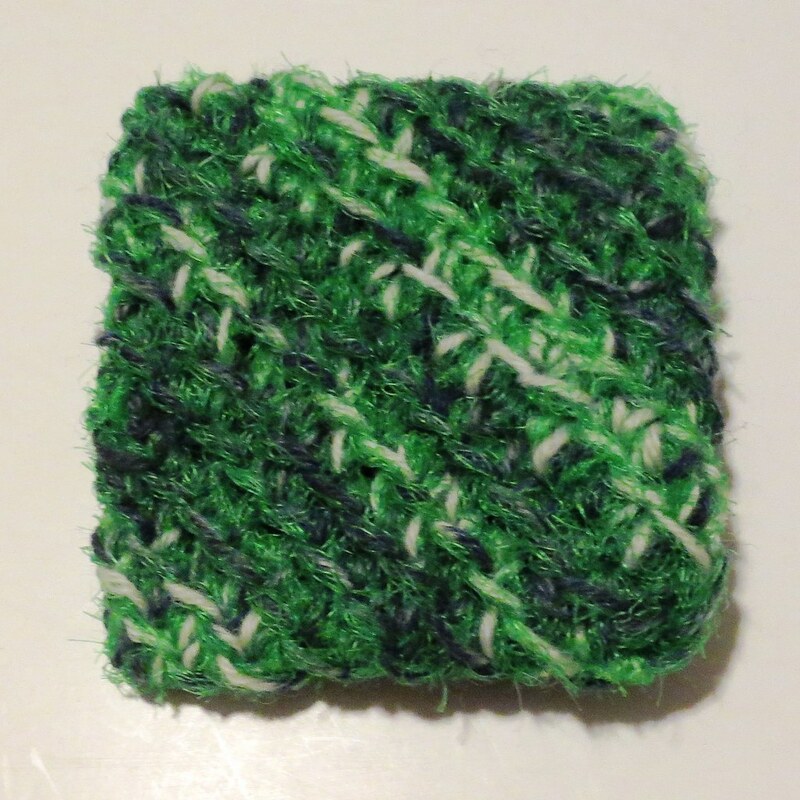 Here is a little scrubbie I crocheted using recycled produce netting bags and cotton yarn. These large red nets were sent to me by reader of my blog who asked me if I’d like to use them in a recycled craft projects. I was thrilled to receive her package that contained about 10 of these large red nets. I cut them into 1 inch wide strips and looped them together just like I do with my plastic bag plarn The red netting is stiff and a bit hard to crochet but it makes a wonderful scrubber when you are done. 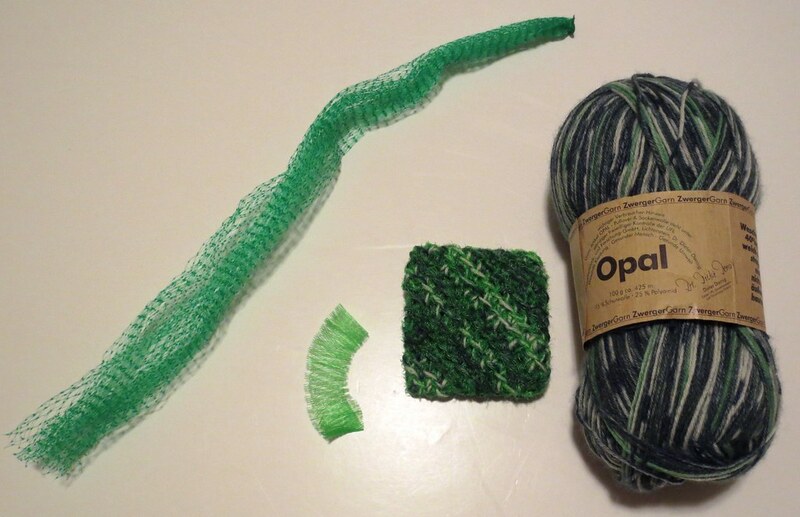 Here is a photo showing a net and a sample of the cut strips. You can click on any of my photos to supersize them. The nets are circular and open on both ends so I just cut across the middle to make my strips. Here is the link to my picture tutorial I made showing how I cut green plastic lettuce netting into strips and assembled them. 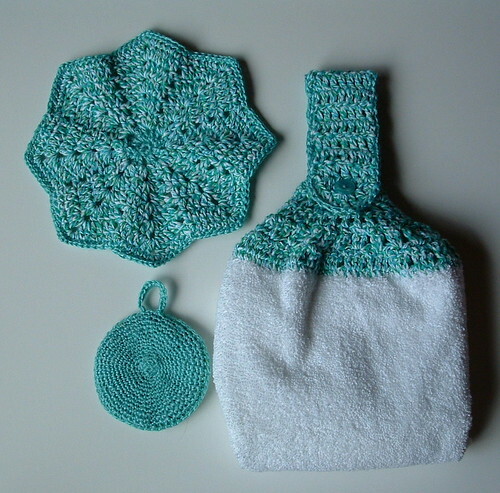 To complete this little kitchen set, I crocheted my star dishcloth. 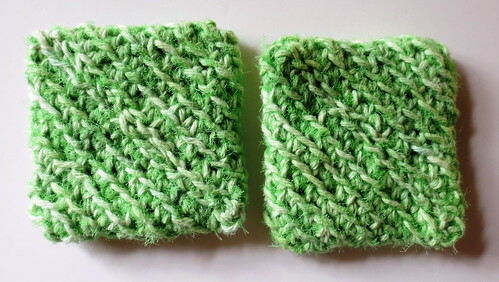 The free pattern for this dishcloth can be found here. My star dishcloth shown here was crocheted all in cotton yarn but I do have an option if you’d like to add a recycled plastic center for extra scrubbing power to the dishcloth. 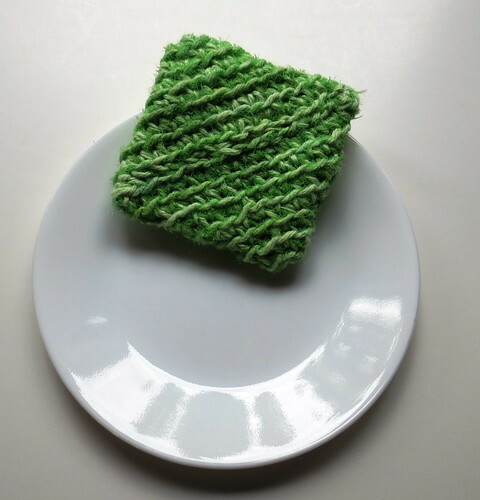 Below you will find the free pattern for the scalloped pot scrubber.